NEOLITHIC buildings are being painstakingly recreated in the new outdoor exhibition area of the Stonehenge visitor centre. When complete, the houses will showcase what life would have been like at the time that Stonehenge was built. The re-created huts are based on archaeological evidence unearthed at the nearbyDurrington Walls. 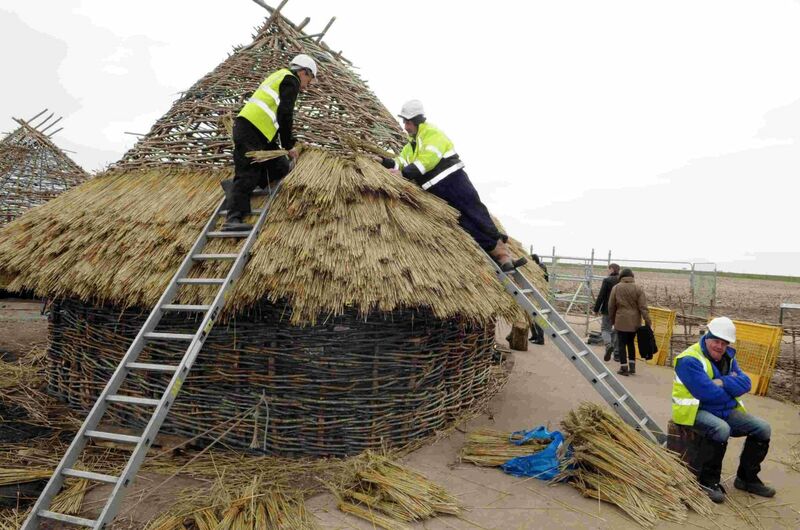 Volunteers are weaving hundreds of hazel rods through the main supporting stakes, thatching the roofs with hand-knotted wheat straw, and starting to cover the walls with a daub of chalk, straw and water. Once the buildings are completed, volunteers will be on hand to talk to visitors about the project and to demonstrate the daily activities of our Neolithic ancestors. 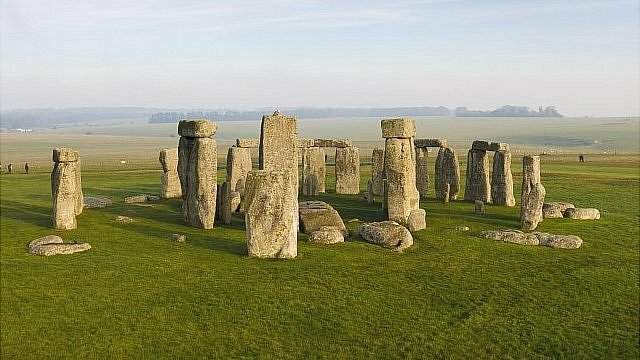 The giant bluestones of Stonehenge may have been chosen because of their acoustic properties, claim researchers. 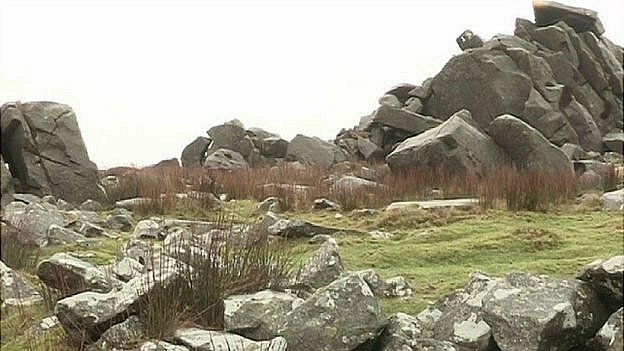 A study shows rocks in the Preseli Hills, the Pembrokeshire source of part of the monument, have a sonic property. The study, by London’s Royal College of Art, was to try and record what “Stone Age eyes and ears” would have heard and seen in a prehistoric landscape. Since the 1920s, it has been known stones quarried in Mynydd Preseli were hauled 199 miles (320 km) to Wiltshire by its makers. But, trying to establish why has been more difficult. With this study, thousands of stones along the Carn Menyn ridge were tested and a high proportion of them were found to “ring” when they were struck. “The percentage of the rocks on the Carn Menyn ridge are ringing rocks, they ring just like a bell,” said Mr Devereux, the principal investigator on the Landscape and Perception Project. “And there’s lots of different tones, you could play a tune. 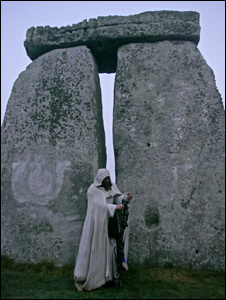 According to Mr Devereux, the discovery of the “resonant rocks” could explain why they were selected for Stonehenge. “There had to be something special about these rocks,” he said. Built between 3,000 BC and 1,600 BC, it has remained a mystery why the monument’s bluestones were lugged all the way from north Pembrokeshire. 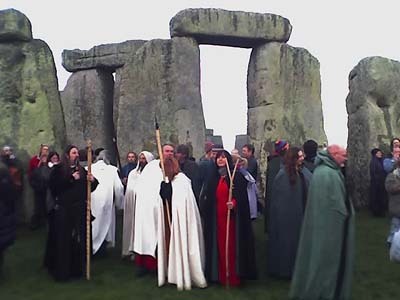 But Prof Tim Darvill, who has undertaken hundreds of excavations at Stonehenge, insists “pre-historic attitudes to stone” must have been very different to those of today. “We don’t know of course that they moved them because they rang but ringing rocks are a prominent part of many cultures,” he said. “You can almost see them as a pre-historic glockenspiel, if you like and you could knock them and hear these tunes. Inside Out was on BBC1 at 19:30 GMT on Monday.